In this study, we compared the evolution of morphological and agronomical characteristics of coconut (Cocos nucifera L.) palms produced from in vitro cultured embryos and from seeds over an 8-yr period. 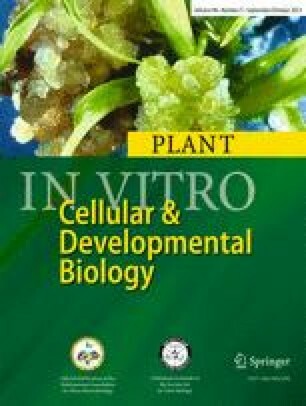 At the end of the second year after planting, the height and root collar diameter of plants originating from in vitro cultured embryos were significantly lower than those originating from seeds. However, palms from both categories had the same number of leaves. When palms originating from in vitro plantlets and from seeds were observed later in their development, they were similar for most morphological characteristics measured, except for minor differences in inflorescence morphology, which were still present 8 yr after planting. The flowering pattern, bunch, and fruit production were similar between the two categories of palms. These results indicate that in vitro culture of zygotic embryos does not adversely affect further development of palms in natural conditions. Yoboué Koffi and Oulo N’Nan-Alla contributed equally to this work.